ASP.NET Core is a lean, composable and cross-platform framework for building web and cloud applications. It is fully open source on GitHub. ASP.NET Core apps can be run on Windows with the full .NET Framework or smaller .NET Core, or on Linux and MacOS with .NET Core and Mono. When you build ASP.NET Core applications and you plan on running your applications on IIS you'll find that the way that Core applications work in IIS is radically different than in previous versions of ASP.NET. Logging is a critical feature in any peace of software. Logging is really so boring but it is so important to have logging in place when starting a new solution, it will save you so much time and be a significant help in location the essence of problems. This article shows how Webpack could be used together with Visual Studio ASP.NET Core and Angular2. ASP.NET Core and Entity Framework Core are getting more and more attractive nowadays and this post will show you how to get the most of them in order to get started with building scalable and robust APIs. You can easily use PetaPoco with ASP.NET Core 1 with the full .NET framework. Looks like they are planning to support .NET Core 1 in version 6. Swagger is a simple yet powerful representation of your RESTful API. Once integrated with WEB API, it becomes easy to test the API without using any third-party tool. In this post, we will see how to add Swagger to ASP.NET Core Web API. Lets look at some of the default dependency injection in ASP.NET Core to see how it is supposed to work. IApplicationLifetime is a new interface in ASP.NET Core under the Microsoft.AspNetCore.Hosting namespace. The interface is designed to give a developer the opportunity to gracefully startup but mostly shutdown the application. As you may know, .NET Core is free, open source, cross platform and runs basically everywhere. Document your ASP.NET Core Web APIs with Swagger and auto-generate authenticated clients quickly and easily with Autorest. Kestrel is the new cross platform .NET web server (based on libuv) which runs on Linux, Mac and Windows 10 and will, eventually, run on Raspberry Pi. One the outstanding improvements is the sheer speed. According to some measure it is about 20 times faster than ASP.NET running on IIS. This blog post explains how to use other containers with ASP.NET Core and shows how to use Structuremap and Autofac with framework level dependency injection. These days, many developers are building Single-Page Applications (SPAs) using frameworks such as Angular or React. These are powerful frameworks that produce a great end-user experience, but we often hear that building these applications is complicated. It can be a challenge to integrate server-side and client-side code well, or even just to choose a productive project setup in the first place. There's runtime bundling on ASP.NET 4.x but in recent years web developers have used tools like Grunt or Gulp to orchestrate a client-side build process to squish their assets. The key is to find a balance that gives you easy access to development versions of JS/CSS assets when at dev time, while making it "zero work" to put minified stuff into production. Additionally, some devs don't need the Grunt/Gulp/npm overhead while others absolutely do. So how do you find balance? Here's how it works. Unit tests make it much easier to change our code while making sure we don't change its behavior (refactoring). This means that properly unit tested code can be heavily refactored/cleaned up so if we happen to break existing functionality we'll know instantly by way of failing tests. The primary purpose of any caching mechanism is to improve performance of an application. As an ASP.NET developer you are probably aware that ASP.NET web forms as well as ASP.NET MVC could used Cache object to cache application data. This was often called server side data caching and was available as an inbuilt feature of the framework. Although ASP.NET Core doesn't have Cache object as such, you can implement in-memory caching quite easily. This post look at hashing, encryption and random string generation in ASP.NET Core. We examine a few different approaches and explain why some common techniques should be avoided in modern applications. There are a few resources that you can find that teach how to secure an ASP.NET Core web application. For web apis using ASP.NET Core it’s a little bit harder to find information. If you are looking to use SOAP or WCF with ASP.NET Core, you are not alone. 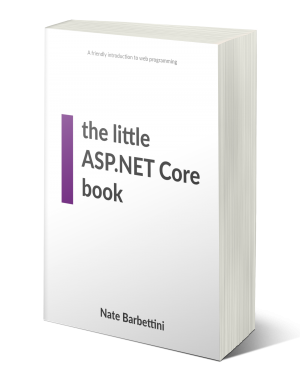 It is one of the most searched for and requested features for .NET Core. In this article, we will discuss how to consume a WCF SOAP service from your .NET Core application. We also show how to create and host a SOAP service with ASP.NET Core. Performing Authentication and Authorization has changed from ASP.Net to ASP.Net Core. Rather than relying on attributes, ASP.Net Core uses middleware similar to NancyFX and Rails. This is a short, step-by-step approach to implementing custom Authentication in ASP.Net Core without the overhead (and assumptions) of the new Identity model. Whilst this post is targeted towards Web API, it's not unique to Web API and can be applied to any framework running on the ASP.NET Core pipeline. In Azure, the recommended place to store application secrets is Azure Key Vault. ASP.NET Core makes it easy for an application to read secrets from Key Vault, but the application needs to be given valid credentials to do so. In this post I will walk you through the steps needed to create a simple microservice using ASP.NET Core with a data access that uses Marten to save and retrieve information from a PostgreSQL. ASP.NET is one of the most successful web application development frameworks by Microsoft. With every update, new and extended features are added that help developers deploy highly scalable and high-performance web applications. 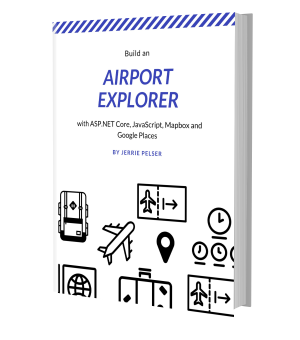 The goal of this exercise is to start with the empty ASP.NET Core template and add just enough to have a basic ASP.NET Core MVC app with a home page that is styled with Bootstrap and can be deployed to production environments. ASP.NET Core 2.0 is fresh off the press, with full support for .NET Core 2.0 and lots of tooling enhancements. 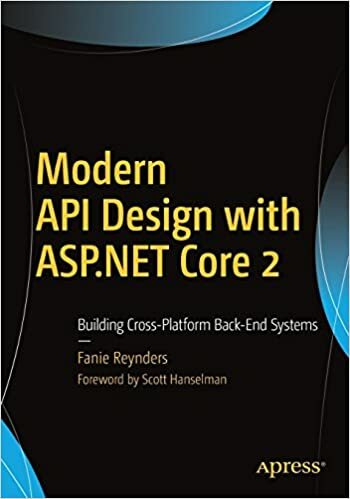 ASP.NET Core 2.X provides .NET developers all of the tooling and framework features needed to build modern rich web applications. 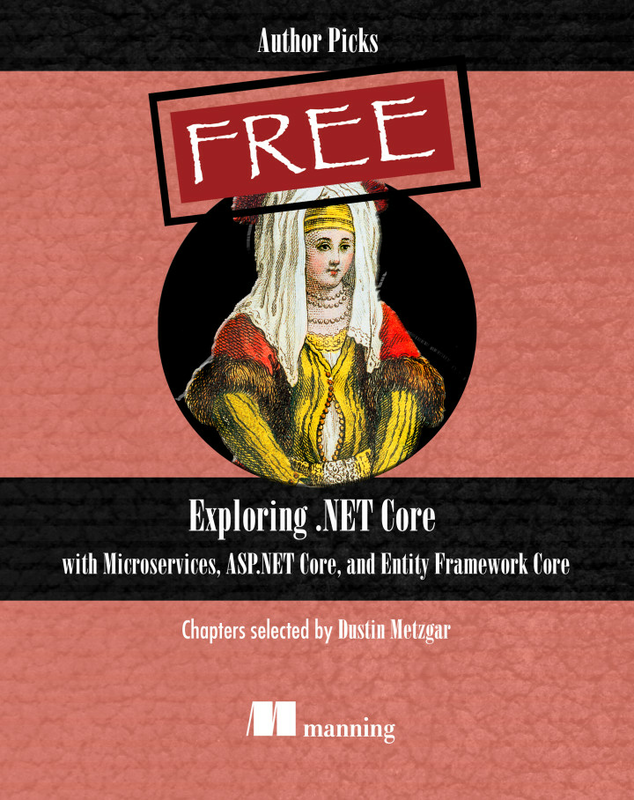 Two key elements of .NET Core's design are its modularity and lightweight nature. These properties make it ideal for building containerized microservice applications. In this post, we'll see how to combine ASP.NET Core and Docker using a cross-platform approach to build, debug and deploy a microservices-based proof-of-concept using Visual Studio Code, .NET Core CLI and Docker CLI. This article explores the official Microsoft template for ASP.NET Core that uses Vue as its client-side framework and gets you started on using modern tooling and libraries like Webpack, Babel or hot-reload. Amazon recently announced support for .NET Core 2.0 on AWS Lambda. In this blog post, I will look at how we can use ASP.NET Core 2.0 to create a GitHub webhook using AWS Lambda and AWS API Gateway. A good log saves debugging time – particularly in production, by quickly helping us to pin point the root of a problem. A log containing a wealth of relevant information, reduces the amount of “I can’t reproduce” issues. We are going to fire up both the complete web app, talking to the real back end (although it could talk to a local test DB if you want) as well as a real headless version of Chrome being managed by Selenium Standalone and talked to with the WebDriver. It sounds complex, but it's actually awesome and super useful. Sure, it's faster, builds faster, runs faster, but there's a number of details and fun advanced techniques that are worth a closer look at. If you’re using a load balancer in front of your ASP.NET Core application you will need to provide it a route where it can verify that your application is still running. Here’s an overview of how you can implement implement Health Checks in ASP.NET Core. ASP.NET Core provides a clean and simple model to express the application authorization rules in code: the Policy-based authorization model. So what happens when the winds of change meet the waves of hope? You get mixed-up nautical imagery! And, hopefully, some insight into ASP.NET Core. ASP.NET Core supports Azure Key Vault as a configuration source. But I would not want to put a client id and secret in the configuration somewhere. It would kind of defeat the purpose of using Key Vault. So why don't we use Azure AD Managed Service Identity to get tokens for Key Vault, and get the configuration that way? When the engineers on the ASP.NET/.NET Core team talk to real customers about actual production problems they have, interesting stuff comes up. I've tried to capture a real customer interaction here without giving away their name or details. Versioning of your endpoints is important especially if you have 3rd party dependent clients of your REST API service. Any change in your endpoint, for example in data structure may impact clients even if it is backward compatible, clients may process your endpoint data in different ways, so even adding one additional property to your model may also impact functionality of the client which is consuming your endpoint. Writing SPA’s is perfectly fine! Writing multi-page applications is perfectly fine! Sometimes, you need a multi-page app with a taste of a SPA(multiple mini spa’s), and that is also perfectly fine and what this article is about. You likely have a service that does an occasional GET request to a page and looks at the HTML, or maybe just looks for an HTTP 200 Response. You can make these tests more robust by actually having the health check endpoint check deeper and then return something meaningful. That could be as simple as "Healthy" or "Unhealthy" or it could be a whole JSON payload that tells you what's working and what's not. It's up to you! An important aspect of running ASP.NET Core apps in the cloud is how you secure the secrets your app requires, things like connection strings and API keys. In this post, I show one approach to securing your application when you're running in AWS - using AWS Secrets Manager to access the secrets at runtime. NET Role-based authorization system works for systems with simple authorization rules, but it has limitations, like the fact that you have to republish your code if you change the authorization rules. ASP.NET Core uses built-in dependency injection mechanism provided by Microsoft. This blog post intorduces how to use same mechanism in .NET Core console applications. For those who like other DI/IoC frameworks this writing provides demo about how to use Autofac with .NET Core framework-level dependency injection. You always have to test your APIs before deploying them with your application. Unit tests are great for unit level code, but how could you test your API in a dev-related environment with test data? There's always mocking frameworks, but it just isn't the same. You could always create a new environment, but it would require a test database. So what do you do? Using web technologies to create desktop apps has been around for quite some time now, with frameworks like Electron being mature and used in lots of products, such as Spotify and Slack.